London has significantly developed in recent years and there are plenty of places worth visiting, but you may be worried about how to travel to them all – without having to hire a car. Well, the good news is that the capital benefits from a great public transport network that makes it easy to get from A to B without the need to drive. As long as you pick a fairly central hotel, then visiting all the top attractions will be straightforward. The most popular way to travel around is the world-famous London Underground. 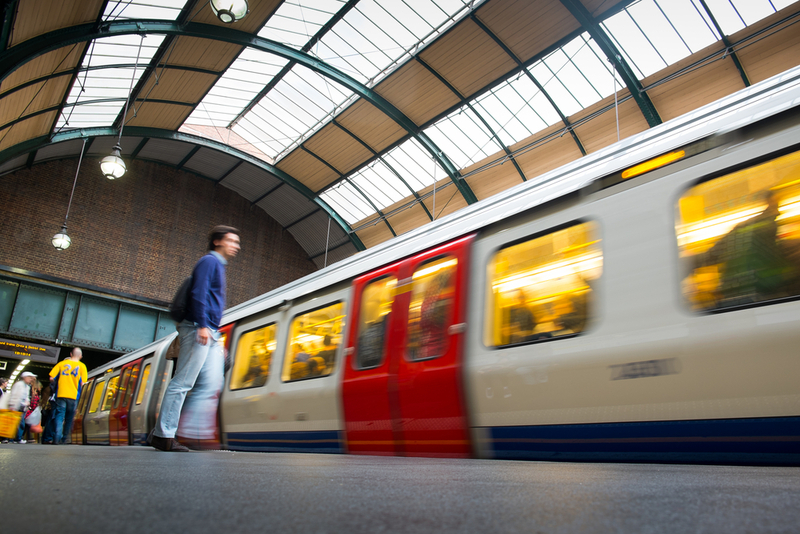 In total, there are 12 lines 12 lines that run between 5 am and midnight – although some 24-hour services are now available along the Jubilee, Victoria, Piccadilly, Central and Northern tube lines. If you plan to travel on the tube then make sure you purchase a Visitor Oyster Card as it the cheapest way and the easiest. Prices depend on which zone you are travelling in – for example, it is £2.30 for a single Zone 1 journey with a Visitor Oyster card. It is advisable where possible to try to avoid travelling on the network during rush hour periods (7am to 9am and 5.30pm to 7pm). Trains can get quite crowded and it can be difficult if you are unfamiliar with the system. It is also cheap to travel in off-peak period. 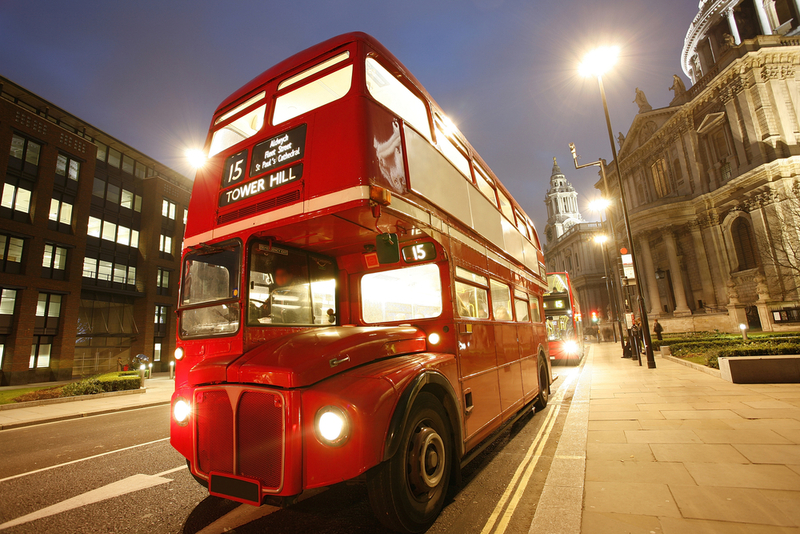 London is famous for its red double decker buses and they are a perfect way to see the sights of the city, as well as offering the chance to experience the real London. A single bus fare costs £1.50 so it really is great value as the buses cover a large area of Greater London and fab for a day out. While buses and the London Underground to tend to cover most of the top London attractions, another option is the rail network. This is ideal if you plan to travel elsewhere in the UK for a day trip or fancy a change. You cannot usually make use of Oyster cards on the network so ensure you check with the ticket office before beginning your journey to ensure you have paid the correct fare. It may be seen as quirky, but actually for many London workers taking the boat to the office is the norm. London has a number of river buses that operate along the famous River Thames, Regent’s Canal and the London Docklands. Travelcard holders can get up to a 33 per cent discount on fares and the boat trip is a great experience. All bus boats are covered and the majority have a small outside deck area. However, you’ll need to top-up your Oyster card before heading out to the boat as you can’t add credit at river bus piers. If you enjoy it, there are special sightseeing boats that travel along the Thames and offer a unique perspective on some of the city’s most famous landmarks. As well as commentary, some of the boats also the chance to enjoy some food and even dancing. Finally, don’t forget that travelling around London can also be done on two feet. It is really easy to walk around the central parts of the city and there are plenty of signs giving directions to the nearest attraction. Share the post "Travelling around London"
This entry was posted in London Transports and tagged Commuting in London, travel tips. Bookmark the permalink.